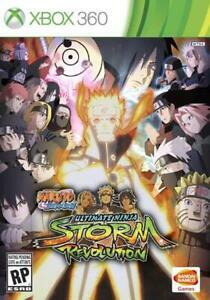 Bandai Namco's long-running 3D Fighting series continues with new gameplay mechanics, the new Mecha-Naruto character, and the new Ninja World Tournament mode in Naruto Shippuden: Ultimate Ninja Storm Revolution. There are more than 100 playable and support ninjas, all capable of performing new guard breaks and counterattacks, or teaming up with other fighters to unleash ultimate jutsu attacks. The robotic Mecha-Naruto gets an original story, while the new Ninja World Tournament finds gamers battling three CPU ninjas in a competition to grab the most battle orbs. Fan service and absolutely fun!!! This game is great! The character roster is vast and the game mechanics are very easy to learn within a few minutes. There is so much jam packed into the game with different challenges and different customization options that it will definitely keep you busy for awhile. Revolution does deliver excellent fan service and if you aren't very familiar Naruto world then you certainly won't be able to appreciate it as much. I own Full Burst as well and this is my favorite one to play. The Ultimate Jutsu's are all super awesome and very easy to accomplish I would suggest pairing certain characters for special team jutsu's. The game works great and it arrived two days earlier than expected. I did not think the DLC codes inside the case were going to work, but they did and I was pleasantly surprised! 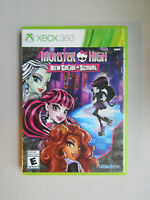 It also came with the dlc costume pack and Sunnyside battle codes which surprisly worked, great sell. love it. I enjoyed this game very much. it was an outrageous game. very fantastic. I played it every day.